Ensures a precision cut on steerer tubes. 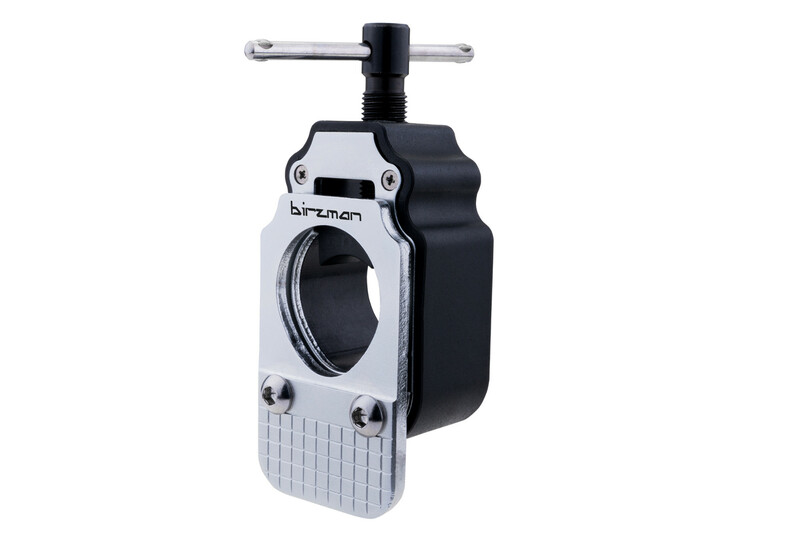 Accommodates 1”, 1-1/8” and 1-1/4”threadless steerer tubes. This tool is also compatible for use with 2 mm carbon saw blades.